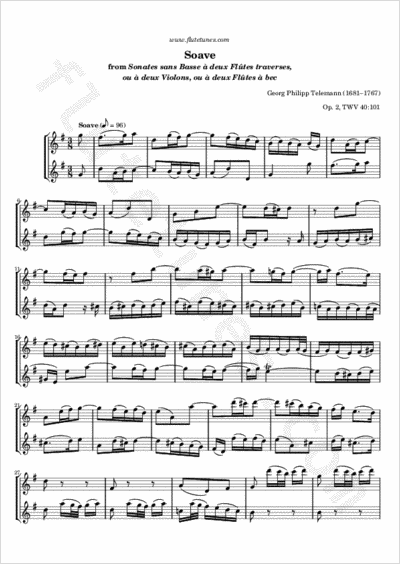 This is the first movement of the first of Georg Philipp Telemann's Sonatas without Bass for Two Transverse Flutes, or Two Violins, or Two Recorders, although in some editions this particular sonata is referred to as Sonata No. 2. This first movement is marked “Soave” (pronounced So-ah-ve), which is Italian for sweet, soft, gentle.